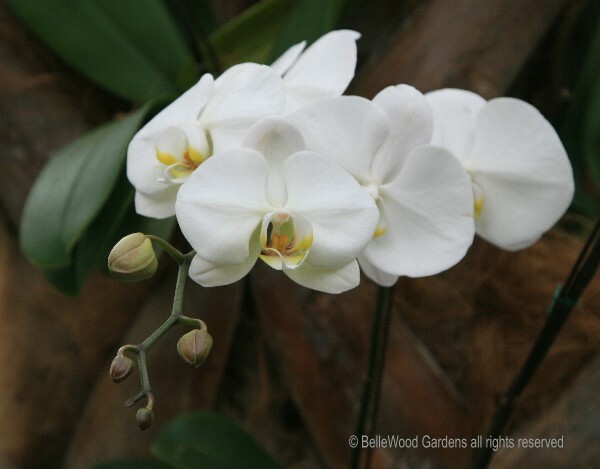 Walk into the exhibition gallery and each side of the walk has showers of orchids. 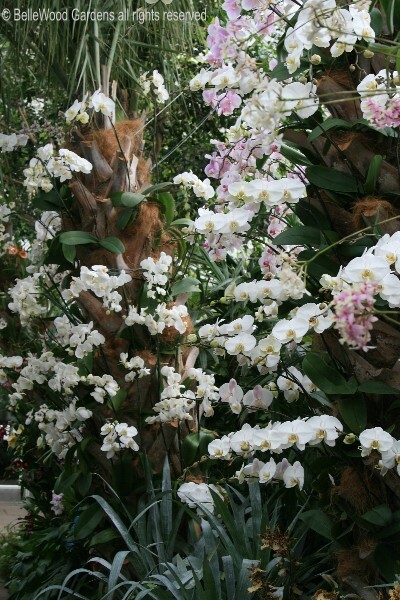 Cascades of white moth orchids, Phalanopsis,mimicry of winter's snow. 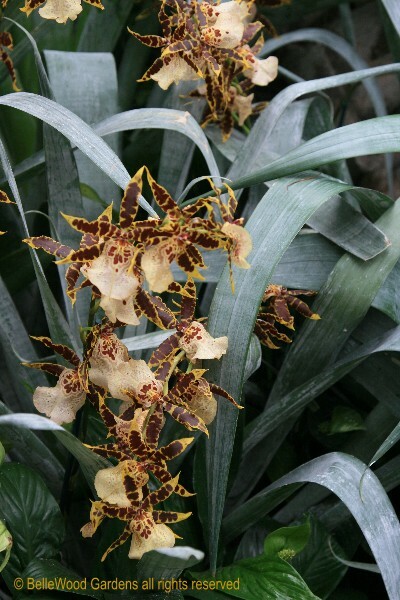 and weighing more than 1,200 pounds) festooned with epiphytic orchids. 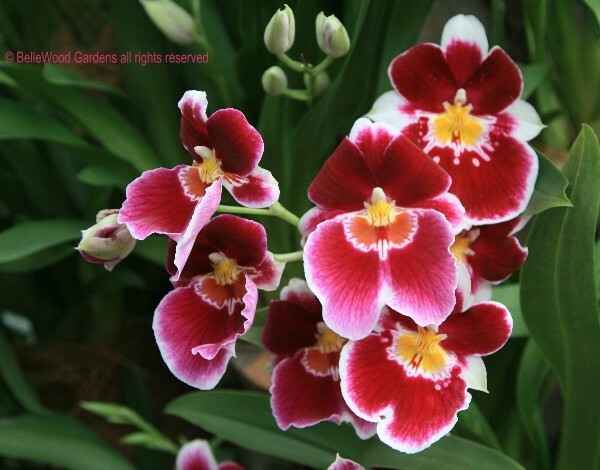 are one of the easiest orchids to grow, with long-lasting flowers. 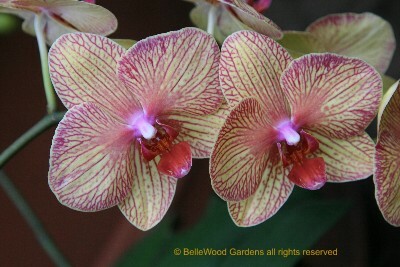 overlaid with a tracery of wine colored veining suffused at the center. 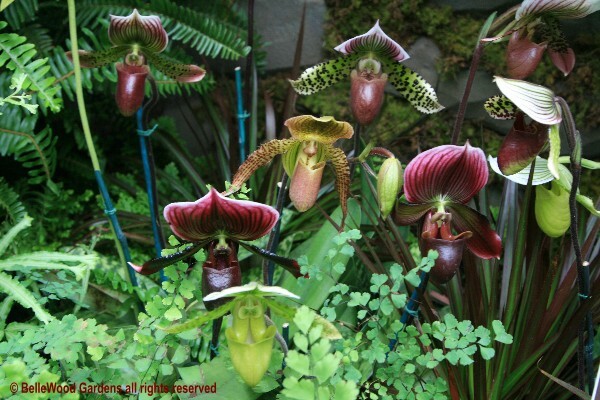 Other relatively easy to grow orchids are the tropical lady slippers, with glossy, enamel-bright colors. 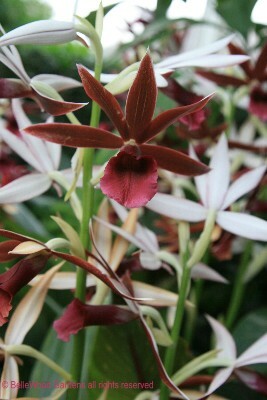 Like a wheeling flock of tiny birds, the clustered flowers of reed orchid, Epidendrum. 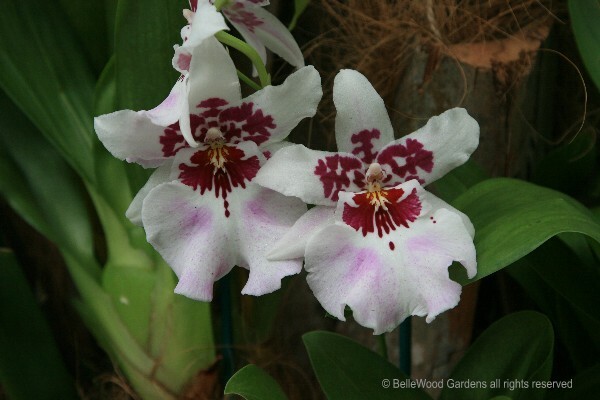 You can visit the New York Botanical garden's 8th Annual Orchid Show from February 27 through April 11, 2010. 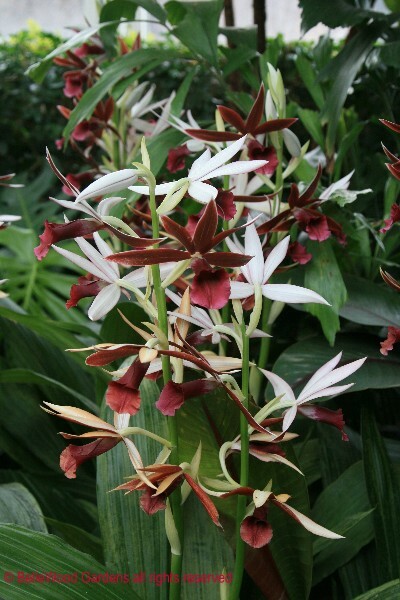 In Breezy Love or the Sacking of the Bees - Olivia Judson's March 10, 2010 Opinionater column in the New York Times - this sentence jumped out at me: "In a tropical forest, for example, the advantages of insects are great: they provide highly targeted pollen-delivery in a complex milieu." 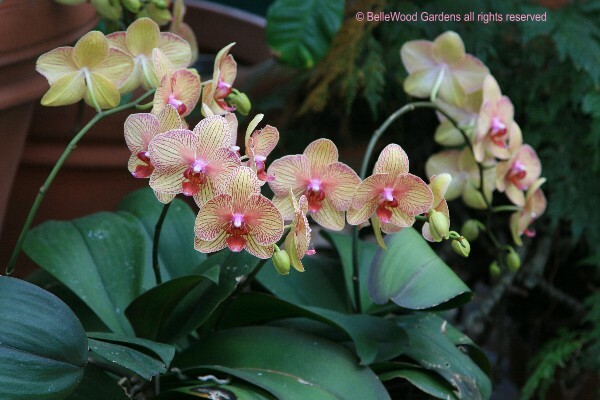 Orchids are tricksy plants with elaborate, highly evolved flowers. 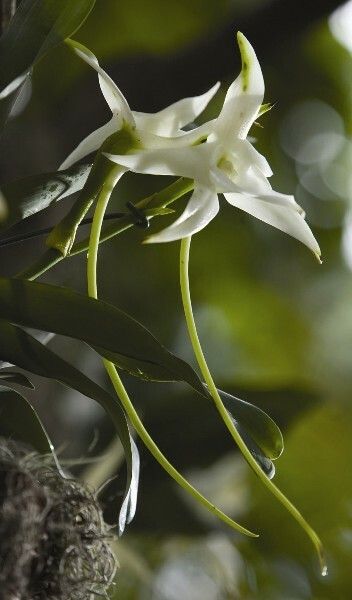 Flowers that mimic an insect so closely that they coax the males into pseudocopulation, or develop so long a spur that Charles Darwin predicted that there must be an insect with a proboscis adapted to reach the nectar at the base. 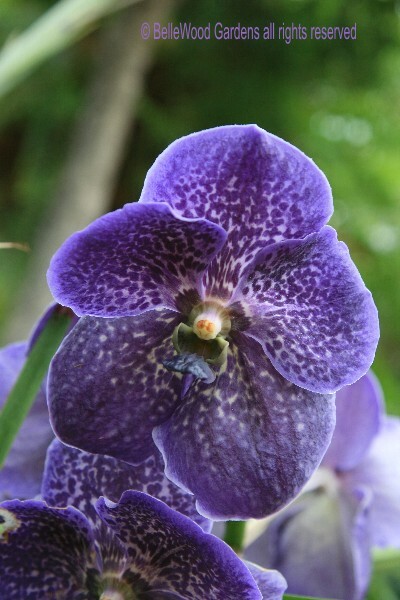 ignores the wind, ordinary bees, and other mundane pollinating options. 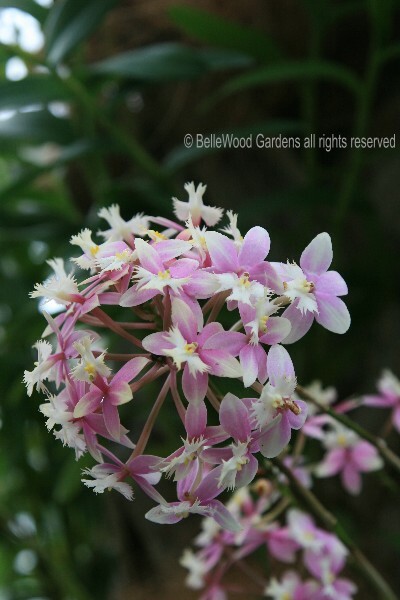 its head touches the pollinia and carries out the necessary cross pollination. 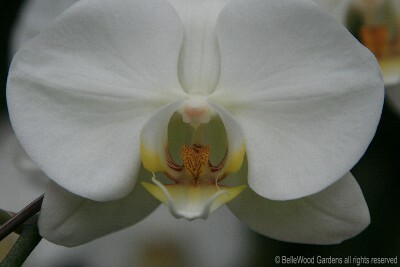 Marvellous and wonderful the ways of nature.